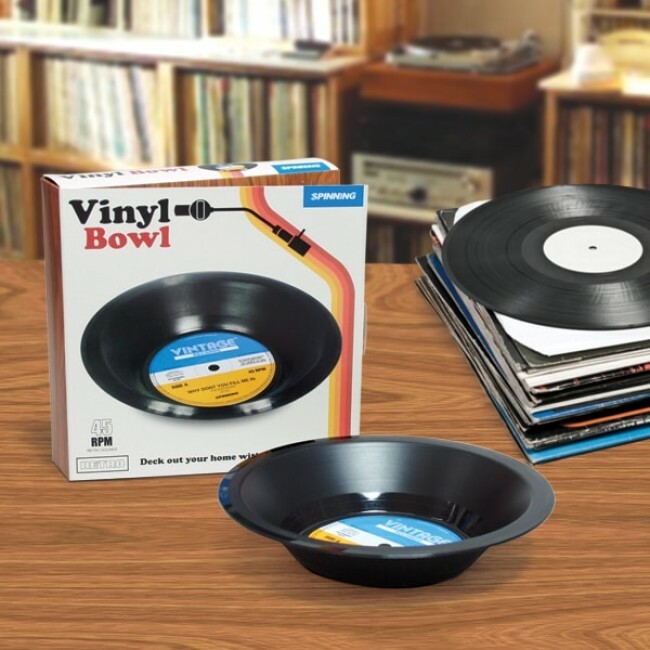 Put a new spin on serving ware with this Retro Vinyl Bowl designed to be a dead ringer for a repurposed LP. 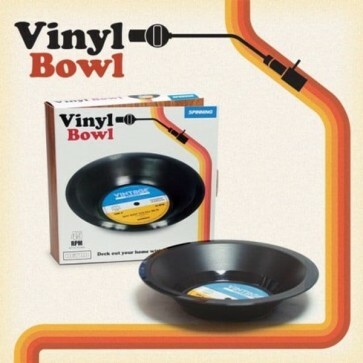 Measures 6-3/4 x 6-3/4 x 1-1/4". Not getting full satisfaction from your current array of ceramic and glass bowls that come out when you have guests round? 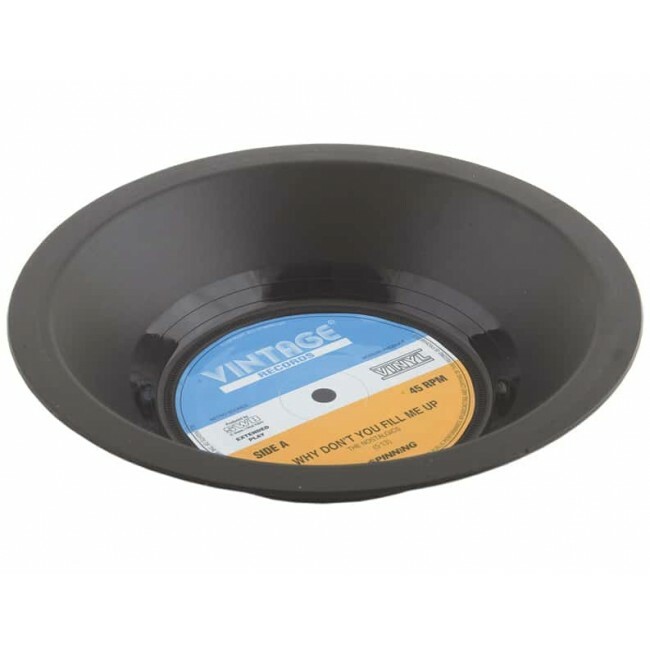 Put a new spin on it with this Retro Vinyl Bowl designed to be a dead ringer for a repurposed LP. Measures 6-3/4 x 6-3/4 x 1-1/4-inches.